Clean copy and clear writing gets your message across, simply and effectively. Our team of copywriters can write the words that will transform your business or organisation. Whoever you are, whatever the brief, our copywriters supply words that will hit the target and deliver the goods. We are a copywriting agency that inspires others by the clarity and simplicity of our work. Whether you need report writing, digital copywriting, marketing copy or speechwriting, on thought leadership or policy issues; or copy for an advertising campaign or fundraising push, our words always deliver. Our team will treat each assignment with enthusiasm and relish, executing it to your exact requirements. We get it right because we listen to you, the client. We then work with you to identify and hone your key messages. In tandem with you, we then focus on bringing those messages alive for your key audiences and stakeholders. Where do you find all the compelling arguments, fact and figures and relevant information to persuade overseas companies to choose the UK? The answer is in Invest in the UK, a UK government flagship document researched and written by ProseWorks. UK Trade and Industry, the government body responsible for promoting overseas trade and attracting foreign investment, needed one document to give potential high-level investors all the information they needed to help persuade them to base their international businesses in the UK. With our ability to analyse detailed research, explain complex policy issues and convey policy initiatives in language that everyone can understand, we were ideal for the job. 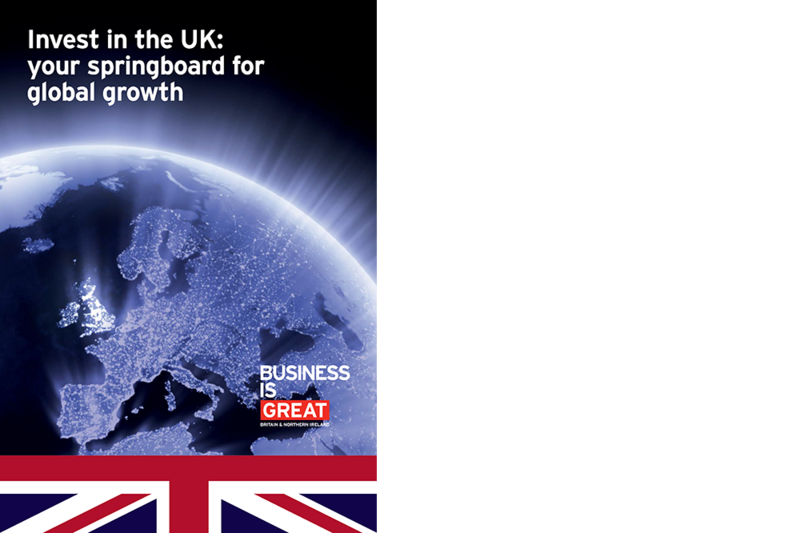 Our team waded through boxes of research and statistics and – working together with the UKTI policy team – page planned and then drafted this compelling document. Diligence, patience and heightened drafting skills were required as the document went through four sets of iterations as it was sent across Whitehall for approval. With a foreword from the UK Prime Minister, the 50-page document successfully articulates the benefits of investing in the UK, and serves as a vital tool for UKTI overseas postings and UK Diplomatic staff as they seek to persuade global ‘movers and shakers’ to invest in the UK. Six months after its initial publication the ProseWorks team was back in action, writing and updating the content for a new edition. We have also written bi-monthly policy and research digests for UKTI, as well as other marketing brochures. The Inward Investment annual report 2015–16 was also written by ProseWorks.